Dassault Systèmes' certification program provides customers, users, partners and students with a globally valuable index for measuring and promoting their knowledge and skills within the PLM ecosystem. Thank You for Getting Certified! 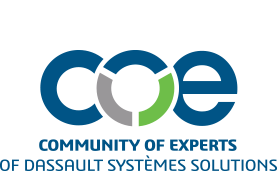 COE would like to thank everyone who participated in the Certification Exams at our 2016, 2017 and 2018 annual conferences. We are pleased to announce that an overwhelming majority of test takers passed their exams in 2016, 2017 and 2018. Learn more by visiting the Dassault Systèmes Certification webpage.